Get ready to for the fear in Bloober Teams' digital haunted house. Nintendo Play is joined by Rafal Basaj, Producer at Bloober Team, for the included Developers Commentary. Take a dip inside the twisted mind of the artistically deranged in Layers of Fear: Legacy, Bloober Team’s definitive edition of their first person horror experience. Released today on Nintendo Switch for £17.99, do you dare brave the nightmare fuel? The Horror genre is woefully undersubscribed on the Nintendo Switch. While there are some standout titles there’s clearly not enough for fans who are clamoring for more. The adrenaline raising gameplay is perfectly suited for Nintendo’s handheld, enhancing immersion though suspense, either while sitting at home in front of the TV, or while tucked up in bed with the covers over your head. Layers of Fear is Bloober Team’s entry onto the platform and into the genre. The title is an eerie trip through the psyche of a schizophrenic artist as he attempts to complete his Magnum Opus, the masterpiece that represents the culmination of his life’s ambitions, attempting to validate his reputation as an established painter while trying to face his own personal demons in the process. As he navigates through his dilapidated Victorian mansion he is plagued by disturbing depictions of the events leading up to his current situation, painting a twisted nightmare inducing tale full of disgusting sights and spine-chilling sounds. The game itself is a first-person exploration-based puzzle game seated firmly in the Horror genre. Images of the macabre and sudden jump scares are so commonplace that any expectation not to be both equal parts disturbed terrified throughout the entirety of your journey would be completely insane. As you wander through the desolate corridors you are encouraged interact with various draws and cupboards, searching for scraps of paper, news reports and photos that collectively help to solve some of the puzzles scattered around which, when solved, provides more insight into the series of events that have culminated in your current predicament. 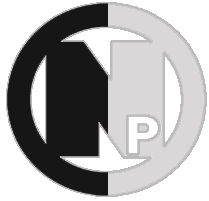 Occasionally some of the interactive objects can difficult to locate, mostly due to the games often grey/brown colour pallet. The option to have these interactive items highlighted permanently may have gone a long way in helping those with visual impairments who may possibly become frustrated when getting stuck in a room for ten minutes, simply because they cannot see that the door has a latch that needs unlocking first. Rafal: The journey through the deranged mind is one of struggle, uncertainty and being lost. You, as a player, need to piece the story together - uncovering the secrets and finding your way through the madness is the goal of the game - you have to understand what's going on in the story and work your way to achieve it. If we gave too many hints, the game would than play itself, and we didn't want that to happen. 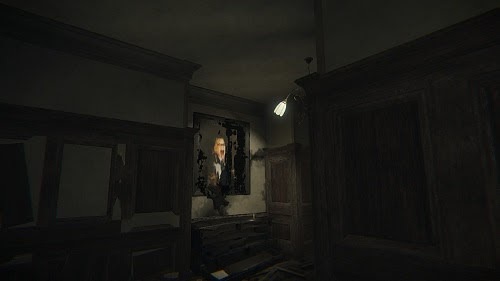 While the game relies on unexpected jump scares in its horror, it’s the subtle hints like pictures on the walls changing poses, rooms changing orientation and considered use of audio cues that go a long way to raising the creepy factor, making the jump scares so effective. 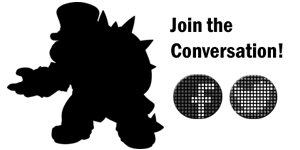 In this regardBloober Team have done a fantastic job at focussing and fixing your gaze to ensure you are completely unaware that the surroundings are being manipulated around you. Leaving you idle just long enough that the set up for the next audio/visual cue or jump scare is executed perfectly. Rafal: We have been testing the game over and over again to figure out ways to lure the player's attention to the events we have prepared for them. It took a whole load of small changes on the levels, lights and shadow adjustments - it was not an easy task, but probably one of the most important for us during the development process. Initial camera sensitivity is painfully slow but the games settings contain the option to easily remedy this, as well as completely remove the head bob if you either find it off-putting or, like for some, it contributes to motion sickness. 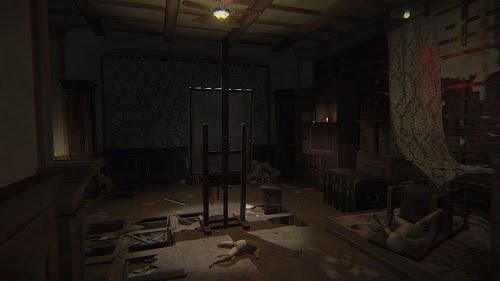 One of the best design choices of Layers of Fear is the decision ensure the pace of the game never slows or its immersion, broken; it does this by eliminating any form of a game over screen, allowing the player to go from start to finish seamlessly without forcing them to repetitively replay any sections. Behind the scenes, the game itself is covertly split into both a mandatory and optional set of experiences. While both do a good job of building tension and creating requisite fear, it is not possible to fail a mandatory experience. Failing an optional experience, for whatever reason, will simply move the story on past that point, penalizing the player by robbing them of additional story elements they may have discovered and ultimately affecting the games overall ending. Rafal: The game, has three distinct endings. There are no 'optional experiences' - the game follows your every step: from the corridors you take, to the objects you pick up. "Death" is one of the ways to count the players 'score' towards one of the endings. It may make the player miss out on certain story elements, but it can also give him others instead. . Unfortunately there is no indication of the requirements to receive each of the games three endings or a list to ensure you have completed all puzzles and while the game is split into chapters that are individually repayable, any desire to view one of the alternate endings will require you to start the game fresh each time. With a total play time of around 3 hours per playthrough however, this is not overly an issue. Rafal: After you finish the game for the first time, and you get the "madness loop" ending the game will prompt you to "Finish it! ", instead of showing you the "New Game" option in the main menu. It's an indication that you never really got free from your madness. Also, after finishing up the game for the first time, you unlock additional rooms that haven't been available the first time around, but they're hidden, so you need to figure out how to get to them. Once the player understands what's happening in the game he will have an easier task unlocking one of the "definitive endings". 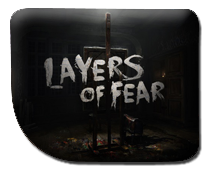 The Switch edition of Layers of Fear is considered the definitive edition, containing both the original game as well as the titles DLC “Memories”, placing you in the shoes of the protagonist’s daughter as she revisits her old home, being reminded of her parental relationships and the impact they had on her life. On top of all developed content, a myriad of switch exclusive features have also been included such as HD Rumble, motion controls and touchscreen support. Frame rate issues are occasionally evident while playing the title in Handheld Mode but the benefit of having the screen so close to your face creates an intimate experience, intensifying the levels of suspense when compared to playing on the big screen in the games flawless Docked Mode. Rafal: The framerate doesn't change between playing docked vs handheld, although rushing through the game may interfere with the FPS stability. 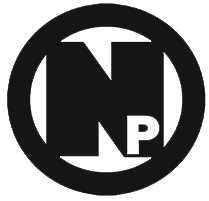 Concurrent levels are loaded into the memory every now and then, rushing through them may spike the amount of content needed to be loaded and thus a small FPS drop may occur. 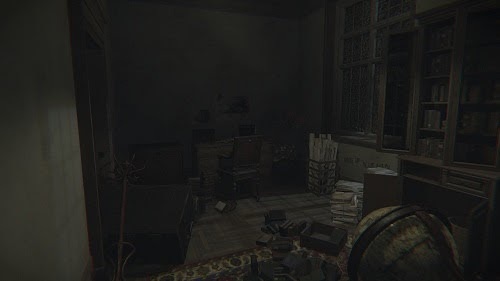 It doesn't happen often and it's never a huge spike, but we had to find a compromise between how the game looks and runs. .
Layers of Fear does everything required to provide you an entertaining linear narrative based horror title while still giving you a reason to return for a second or third helping. Turn your lights down low, put your headphones on and prepare for a raised heart-rate as you find yourself jumping out of your skin again and again. Many thanks to Rafal for his discussion during this review. + Music and visuals set the scene perfectly. + Multiple Endings for repeated play. - A few jump scares miss the mark.